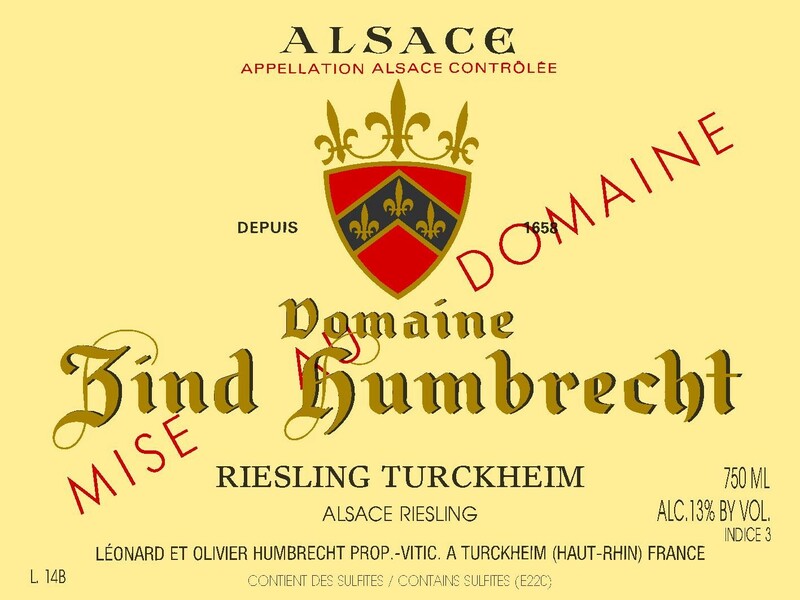 This second batch of Riesling Turckheim shares the same origin as lot 14T: granitic precocious soils from the Brand vineyard in Turckheim. The growing conditions of 2008 allowed a higher ripeness in this area that was supported with a slight presence of noble rot. It affected the speed of fermentation (very slow) and also the amount of residual sweetness which is slightly higher. 2008 is a very healthy vintage for Riesling, except here in Brand. Some different conditions allowed for some noble rot development. The weather was exceptionally good late September and most of October, so such evolutions are normal in a warm area like Turckheim. 2/2010: the nose is incredibly open and shows intense ripe white fruit character. The influence of noble rot isn’t very obvious on the nose, but it must certainly participate and add some honeyed sweeter aromas. The palate is very unctuous, round, without being obviously sweet. Indice 3 might be justified for some dry wine fanatics, but some other people would argue and perhaps only rate this wine 2, because it finishes very clean on the palate. Certainly, the aromatic style of this wine must increase the roundness sensation.